Takeaway: If you sequence your practice right, you can get a well-rounded home yoga experience into your morning (or whenever you can fit it in) in only five short minutes. No matter how devoted you are to your daily sadhana, life inevitably gets in the way of a full-fledged yoga practice. In the days that I was single, working odd jobs and living life as I pleased, I could do a 90-minute yoga video or attend an hour-long class at a local studio whenever I desired. I was footloose and fancy free! These days, however, I live with my significant other and our two sweet older pups. My responsibilities are still less than most of my peers -- the ones who have babies and children -- but I still have my own small family to care for. What’s more, I’m in the process of moving across the country, and moving is time- consuming and stressful. I’ve had days when five minutes of yoga is all I’ve got time for. Luckily, if you sequence your practice right, you can get a well-rounded home yoga experience into your morning (or whenever you can fit it in) in five short minutes. Here's my go-to practice when time is short and I have just five minutes to move. 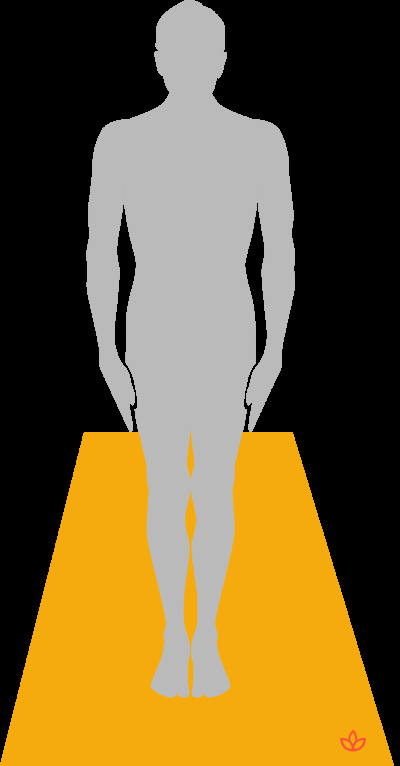 Tadasana, also known as mountain pose, is the foundation of nearly all yoga poses. It’s also the starting point for Sun Salutations. I like to start with mountain pose because it centers me. It also helps with posture. To start your routine with tadasana, stand tall with your feet together and the weight distributed evenly between them. Make sure your spine and neck are long, while your pelvis and chin are tucked inward just a bit. As you stand tall and proud, breathe consciously -- feeling your body move gradually into a more aligned state. Imagine you’re as strong and steady as a mountain. From tadasana, I like to improve my posture further by moving my body through a few shoulder shrugs and shoulder rolls. It’s nice to synchronize the breath with the movement. Inhale as you raise your shoulders to your ears, and exhale as you relax them down the back. I like to do this five to 10 times. Next, roll your shoulders back, inhaling through one full roll, and exhaling through another full roll. I like to roll my shoulders back a few times, and then forward a few times. After I’m warmed up properly and feeling well-aligned, it’s nice to move into a challenging pose that teaches the body stability and balance. My asana of choice for this purpose is ardha chandrasana, otherwise known as half moon pose. It’s a challenging pose, no doubt, but as with anything, practice makes perfect. I like to come into half moon from triangle pose. I then bend my front leg ever-so-slightly, and then push up into half moon, my bottom hand helping me balance on the floor. 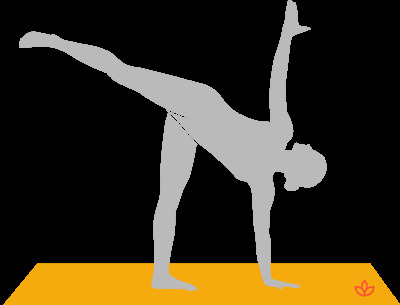 The top leg is parallel to the ground, with the top arm reaching for the sky. The standing leg is strong, but the knee is soft (not hyperextended). While balancing in ardha chandrasana, don’t forget to take long, deep breaths. I like to stay in the pose for five inhalations and five exhalations, then switch sides. In this pose, falling is always fun, and forgiven, too! When I’m finished with half moon pose, I make my way down to the floor for a brief rest. 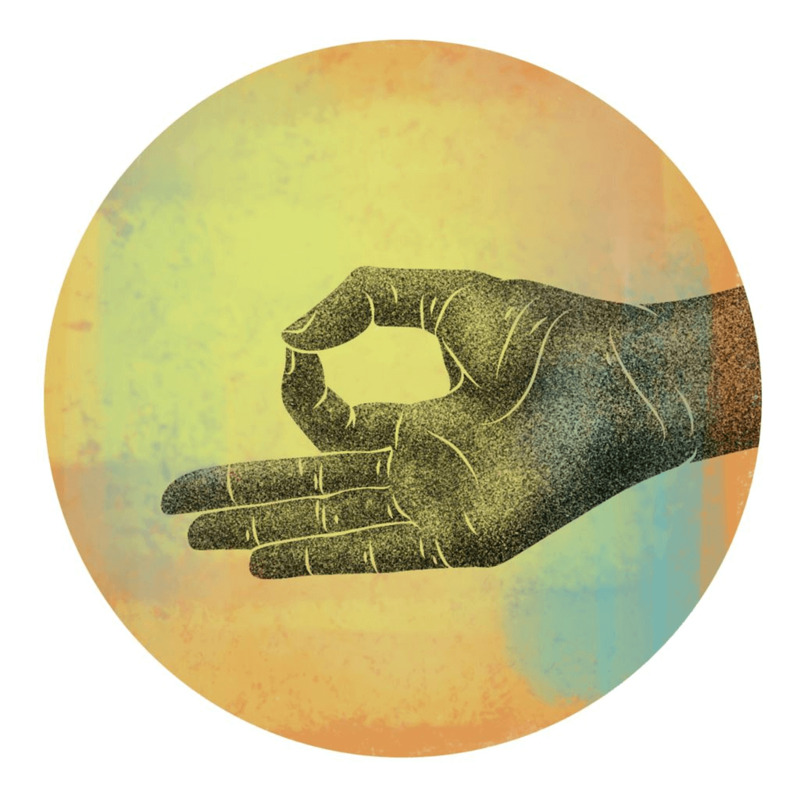 I typically sit cross-legged with my hands in gyan mudra (also known as chin mudra). Sitting here for a few deep breaths, along with a straight spine and closed eyes, is a nice way to relax and wind down the practice. To end the sequence, I love to straighten my legs into paschimottanasana, also known as seated forward bend. This pose is deeply soothing and a nice substitute when you don’t have time for savasana. I like to sit on a folded blanket, moving the flesh of my buttocks behind me so that I’m sitting directly on my sits bones. With a straight spine, I then bend forward and allow my torso to rest gently on my thighs. The hamstrings relax and lengthen, while the mind naturally slows and the breath deepens. I typically close my eyes and take several deep inhalations and exhalations while enjoying the deep sense of calm that washes over me. Seated forward bend rounds out this short sequence. Stay in it for as long as you like. As always, don't forget to breathe deeply. Set an intention before you practice and bow to your inner self when you finish. No matter how long or short your practice may be, it is always sacred. Don’t forget that. Be gentle with yourself and enjoy each moment. Yoga is a gift -- even if only for five minutes!